What would be possible if you could "dial" into the right behaviors in minutes to maximize your performance and every team you lead and/or interact? What if you could instantly create extraordinary relationships with any third-party such as media, analysts, customers, and prospects? 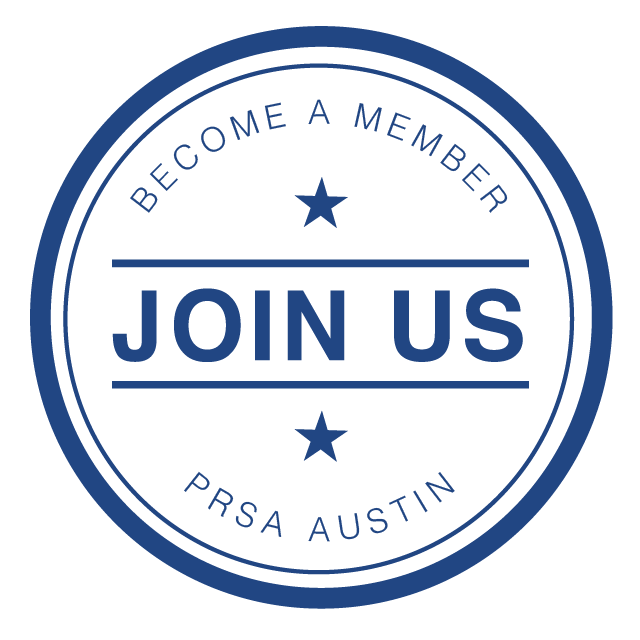 Join PRSA Austin for a luncheon at the University of Texas Club, Thursday, February 21st. This event is Limited Seating. Online registration has closed. You may register onsite at the The University of Texas Club. Think about the best team you’ve ever been on. The team that was the most collaborative, connected, and productive. How did it feel to be connected to something bigger and lose yourself in that moment? That feeling you just thought of is the most powerful business asset. Leaders stay awake at night trying to figure out how to create that feeling. Many of them believe it’s like your DNA – you either have it or not. But it’s not luck. “Secret" strategies for maximizing performance, innovation, communication, collaboration, and problem-solving. How to build high levels of trust both internally and externally with clients, media, analysts and any other third-parties to build extraordinary relationships. Tips and best practices on how to manage up, down and across much more effectively to maximize teamwork, productivity and minimize conflicts. Time: 12:00 p.m. to 1 p.m. Registration opens at 11:30 a.m. and attendees should plan to arrive by 11:45 a.m. for lunch. Entrance is across the street at the intersection of Clyde Littlefield Drive and Robert Dedman Drive. Elevators are inside and to the left. Registration: Online registration has closed. You may register onsite at the The University of Texas Club. *Online registration will close on Monday, February 18 at 5:00 p.m. Event is open to the first 30 people only - limited seating. **Registrants must be designated as students in our database to receive the student price. Please contact [email protected] for assistance registering as a student.